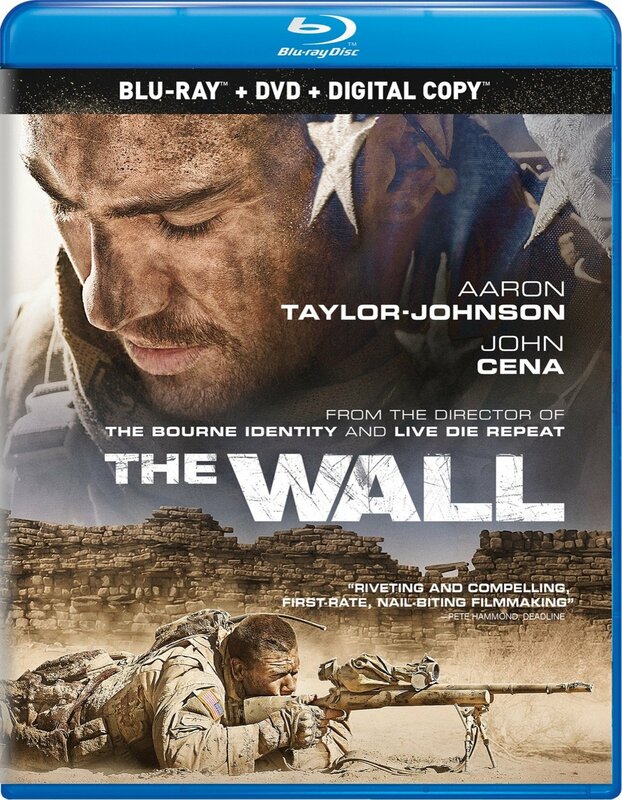 Set in late 2007, The Wall follows two American soldiers who are stationed in Iraq. Matthews (John Cena) is a sniper and Isaac (Aaron Taylor-Johnson) is his spotter, and when the film opens, they have spent 22 hours lying in the dirt in the blazing sun, waiting for signs of enemy forces. When Matthews risks his life by venturing out, and is hit by a sniper bullet and left for dead on the ground, Isaac ends up injured and trapped behind a crumbling wall, with an enemy sniper hidden in the distance who is talking to him over his hijacked earpiece. All he can do is use the limited tools at his disposal to strategically plan his next moves, and hopefully stay alive long enough to be found. Directed by Doug Liman, delivering something much more low-key than his exceptional but awkwardly retitled and tragically underrated previous effort Live Die Repeat (Edge of Tomorrow), The Wall is a solid little film that provides a fine counterpart to other recent movies about the Iraq War. Taking place mostly in the same location, this is an engaging and suspenseful thriller that makes the most of its contained setting, stripping the usual war movie formula down to its absolute basics. What we are left with is an intense game of cat and mouse where the enemy is only heard and never seen, but provides a very real threat, and our hero’s only real goal is to survive. If Isaac comes out from behind the wall, he will be shot, but if he stays there, he will slowly bleed out from the gunshot wound in his leg or die of dehydration. It’s as simple and terrifying as that. Aaron Taylor-Johnson impressively carries the film, being the only actor seen onscreen for much of the running time, and delivering an excellent performance that keeps us gripped. The film works precisely because of its minimalistic approach, keeping us on the edge of our seats right through to the final moments, which are sure to be hotly debated. This is a tightly wound and extremely contained thriller, that maintains suspense throughout its sparse and well paced running time. The Blu-ray includes no additional bonus features. The Wall is an Elevation Pictures release. It’s 90 minutes and rated 14A.